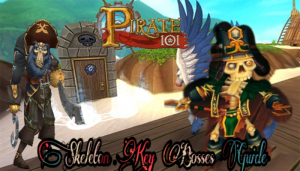 Welcome ladies and gentlemen, to another Pirate101 Guide from Logan. 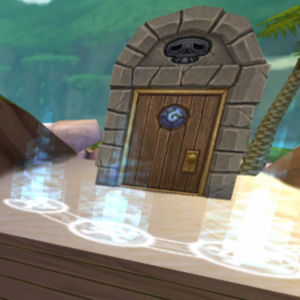 September’s Pirate101’s Test Realm revealed a mysterious door. I’m sure you are wondering what lies behind it! This Obsidian Door was introduced with an Old Scratch promotion quest. In order to learn about the Skeleton Key concept, you must have a level 70 Old Scratch and accept the promotion quest. Then, talk to Vadima in order to obtain your first ever Skeleton Key to start this wonderful adventure. Without further ado, let’s look at the boss that is the main focus on this article! At the end of almost every round, Obsidian English Bill (Musketeer, ~7000 health) will use Fan The Hammer, a cheat talent that deals ~1,000 damage to all enemies. Obsidian English Bill is Immune to all kinds of attacks until a player uses one of the silver basins in the battle. The Blessings provided from the Silver Basins only lasts 2 rounds. After the 2 rounds of blessing is over, English Bill immunes to all kind of attacks once again and a player must hit one of the basins again in order to damage him. Note: You can only activate each basin ONCE per duel. This means you have a very narrow window with which to defeat Bill. Note: Bill has quite a few musketeer counter-epics, such as quick draw and true grit. This makes having a true grit unit of your own very valuable, as a combination of true grit and burst fire will shred him. Anything in this battle works, but Nausica, Goro, and Fan as a combo is one of the best. Other combos such as Toro Fan Contessa/Toro Fan Sarah/Toro Fan Subodai/Toro Fan Ratbeard works perfectly too, as the battleboard is smaller here and slower companions can easily reach English Bill in a couple of rounds. Round 1: Make sure one of your companions hits one of the basins, while the others should use their buffs, if applicable. Use a valor’s fortress on either your pirate or, if you brought one, a true grit unit. Round 2: Fog and CHARGE immediately with your companions, focusing on Obsidian English Bill. Round 3: Bill should be dead, but if he’s not, finish him off with an assassin. Have your companions focus on the Lagoonies. Once Bill is dead, the rest will be easy. Lagoony minions aren’t that tough, but they’re annoying due to high Armor and dodge stats. Use Toro, Barnabus, and Peter Quint. Round 1: Use a 50% Protection Shield on your pirate, while Toro uses his Espirit De Corps buff, Peter uses his Whale Might buff, and Barnabus uses one of the silver basins. Round 2+: Charge English Bill immediately with your pirate and your crew. Continue to focus all of your attacks on Bill until he dies. Once you accomplish this, the fight is a simple mob battle. For free to play, I’d recommend Old Scratch-Contessa-Egg Shen. For crown companions, I’d use Old Scratch-Nausica-Goro. The 2nd combo has better results than the first combo after seeing how it works personally. Round 1: Hit the Basin with your pirate, while using scratch’s 100% buff to get him ready to assist you with AoE heals, while Nausica and Goro or Egg Shen and Contessa run up to charge English Bill. Round 2: Make sure to fort your Main offensive companion and continue focusing on Bill. Use Old Scratch’s 50% Mojo buff. He might die. That’s okay. If things get worse, you can kill on Round 4. Use your pirate to hit the basin again and kill English Bill. Only lagoonies will be left. Best team is definitely Old Scratch & Mormo & Bonnie Anne/Ratbeard/Kan Po/Contessa. This might be a struggle for Witchdoctors to solo, but with a friend or a full squad, this battle can end in 3 rounds with Mojo Storm spam. Round 1: Fort your Pirate while using Scratch’s 100% buff. Move Mormo forward and have Bonnie Anne/Ratbeard/Kan Po/Contessa use a basin. Round 2: Try to mojo storm English Bill, if you can reach him (otherwise use Mournsong), while old scratch is assisting with his 50% Mojo buff. Mormo should use his Mojo Storm on English Bill and Contessa/Kan Po/Ratbeard’s can hit English Bill as well. Round 3: Finish off Bill with a mojo storm or Mournsong. Your other companions can focus on the minions. Eventually the victory will be yours. Remember to use the basins every 2 rounds to damage Bill. Once again, 2 Witchdoctors or a full team of Witchdoctors together running Old Scratch can finish this in 2 to 3 rounds. Round 1: Fort your Pirate while Old Scratch uses his 100% Buff, Chantal uses one of the basins, and contessa uses her hide. Round 2: Use bombs on Lagooniess or English Bill while Old Scratch uses his 50% Buff and Chantal Sniper Shots English Bill. Contessa should Backstab English Bill. Round 3: Spam more bombs with your pirate, while Old Scratch uses his 9 Squares Jobu hit. Chantal should use her sniper shot and Contessa should continue attacking English Bill. Round 4: If he manages to live to round 4, use your pirate to hit the basin and let Old Scratch chain hits on him as Chantal uses her Super Shot. He shall be dead eventually. With this, English Bill is soloed! But again, always make sure you have friends to join you. That’s the goal from Obsidian Skeleton Key bosses. 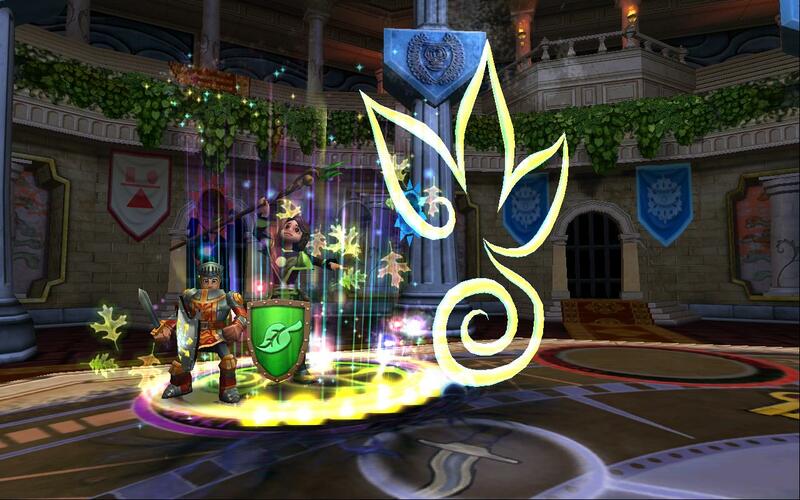 These bosses drops keys, and in Pirate101, Everyone gets an equal share of loot in 1 battle. So the more friends, the more skeleton keys you might get, and you’ll get drops quicker. Hope you enjoyed this guide and hope your solo attempts will go as smooth as your sailing in the skyways! We also have a gear guide for the obsidian bosses here! Pirate101 Player and enthusiast ever since the game announcement in 2012. I'm also a PvP Champion for all Pirate101's Ranked PvP Seasons. 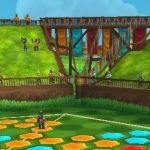 I make guides in order to help and reach the Pirate101 Community out. 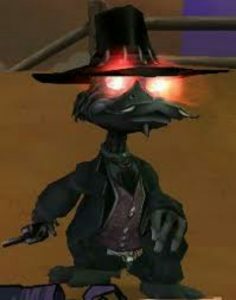 My goal is to bring Pirate101 back to the old days it used to be with a stronger and a greater community than ever. You can always find me in Brawlin' Hall or Spar Chamber or near the Team Up Ledger. Whirlyburly: Let’s Capture Those Pawns!